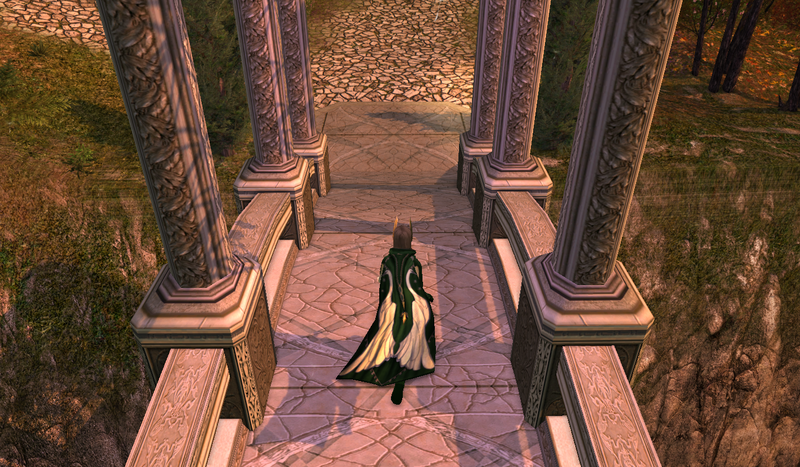 I wanted to feature my new cloak in this outfit. 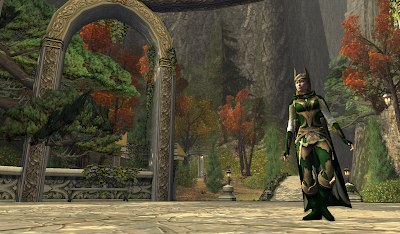 I recently purchased the Cloak of the Ibis from the LOTRO Store and was inspired by it as well as the elves for this next outfit. 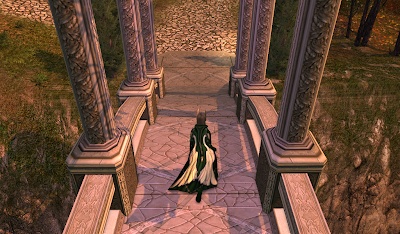 When I first joined Lord of the Rings online I didn't know much about the books and movies. So when choosing my race and homeland I really had no idea what I was doing. 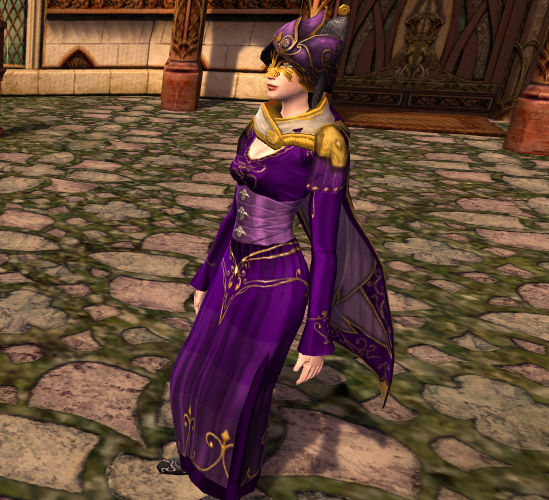 So I chose a female Race of Man character and set her homeland to be Bree-land. As I played the game I became more and more interested in Lord of the Rings so I started reading the books and watching the movies. I found out that I really enjoyed the story. I also realized that I so wanted to be an elf! But, I am content with my female hunter. I do play an elf rune-keeper from time to time though. So to get to the point this is my female hunter in what I think is a nifty elven look for my hunter! This might be my favorite so far. 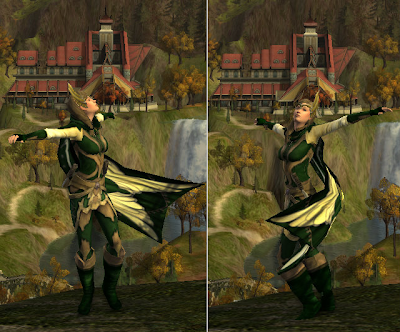 The green and gold together is just beautiful!